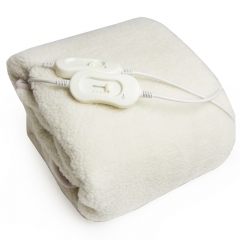 Reduce energy bills and keep cosy for less with our comfortable electric blankets. 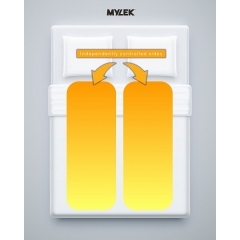 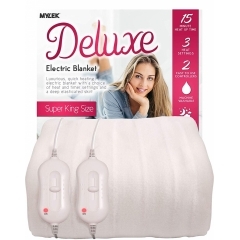 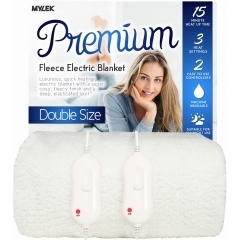 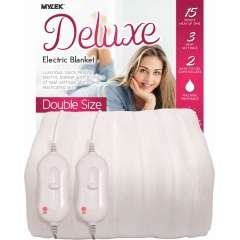 MYLEK electric blankets are low-wattage but feature advanced heating elements that heat up quickly and retain heat more effectively. 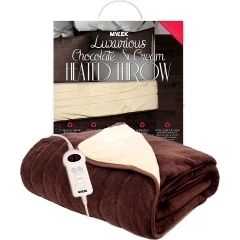 Keep cosy all night long for as little as 1p per hour – perfect for easing your worries about heating costs. 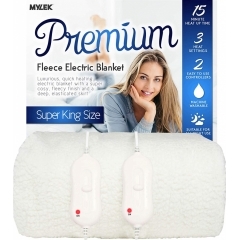 Choose between a fully fitted electric blanket in any size from single to super king to keep cosy in bed or use a luxuriously soft heated throw to keep warm on the sofa. 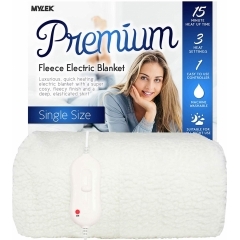 Every stich of our electric blankets and heated throws is made with premium quality fabric for a softer, more comfortable feel. 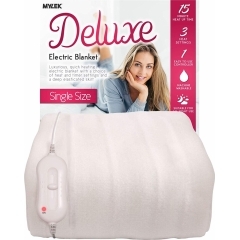 With a thick, cosy fabric lining, you won’t feel any wires in our electric blankets. 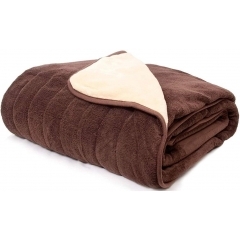 As they’re so soft and stylish, there’s no need to store your blankets away in the summer. 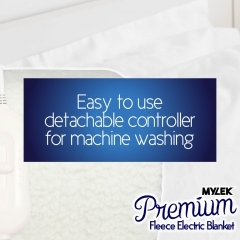 Leave your heated throw out to liven up your living room décor and use your fitted electric blanket as a cosy mattress cover for your bed all year round.